1 - Prints generally: The terms Steel Engraving, Wood Engraving, Photogravure, Typogravure, Lithograph, Etching, Heliogravure, etc. (see explanations below) refer to a PRINTED PIECE OF PAPER. In this sense, these technical terms have been in standard use since the 19th Century to distinguish between various types of illustrations and pictures printed on paper. They DO NOT denote a piece of the steel plate (or woodblock) from which they were printed. The picture below illustrates a typical overall view of a print (the example is a steel engraving, other types look similar). In most cases, our auction page shows only the image area; blank margins are usually not shown. 1a - Print size: 'Print size' in our description pages refers to the overall size of the sheet of paper on which the picture (image) is printed. For a comparison, below is a view of a typical wood engraving. 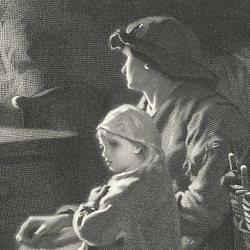 2 - Whiteness of Paper: ALL PRINTS THAT WE OFFER ARE VINTAGE 19TH CENTURY PRINTS,i.e. they are NOT modern reproductions. Both, the paper and the printing ink are of the date indicated in the title box of each auction. The whiteness of paper, or the lack of brownish toning and spots, does not mean that the print is modern. Many engravings (especially German and French from that period) were printed on very high quality printing paper (better than many modern brands) and they keep their whiteness and freshness. Many prints were improperly stored and they developed various forms of stains, spots, brownish toning, etc. Restoration conservation methods are used to clean and conserve them. These conservation procedures prevent the formation of such spots and future deterioration and give them the look they had when they came off the press so many years ago. A number of the prints we sell have been professionally cleaned. 3 - Plate Marks:Not all steel engravings have steel plate impressions (PLATE MARKS), i.e. faint signs of the edges of the steel plate impressed onto the paper during the printing process. These were prevalent in the early stages of making steel (copper-plate) engravings, until approximately 1850s, when the printing plate was smaller than the actual piece of paper on which it was printed. As the images became larger, the steel plates became bigger than the actual piece of paper so the edges of the plate would fall outside the printing paper. 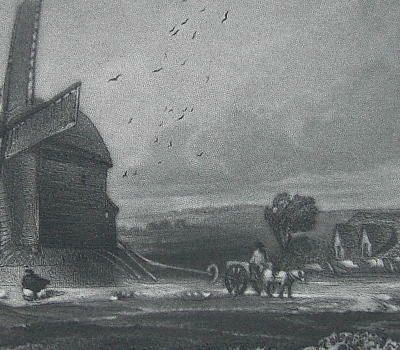 The majority of the 1860s-1890s engravings thus do not show any impression marks at all. Also, in order to increase the efficiency of the printing process, several engravings were often engraved onto a single plate and the impression marks were trimmed off. JUST AS THE PRESENCE OF A PLATE MARK DOES NOT GUARANTEE THE ORIGINALITY OF A STEEL ENGRAVING (see False Intaglio below), THE ABSENCE OF A PLATE MARK DOES NOT MEAN THAT THE ENGRAVING IS NOT AN ORIGINAL. 4 - Identification of prints & determination of age: Identification of prints requires certain tools, the knowledge of the printing processes and also some experience. First impressions about a print in question are almost always incorrect (e.g. "it is just a bad xerox copy," "it does not look old to me at all," etc.) In order to make a knowledgeable decision about the age, type, method of printing, etc. of the print, one needs to make a careful examination of paper, type of printing, etc. using (at least) a strong magnifying glass (4x to 10x), a light table, and a black light. An examination of old paper will reveal many imperfections that are not present in modern papers, a comparison examination with the black light may reveal additives in the new paper not present in the old paper. Looking through the print against the light (or over the light table) may reveal minute spots, blemishes, small pieces of pulp or other imperfections not immediately apparent; again, such imperfections would not be present in any modern papers. The presence of a watermark or other patterns would also indicate that the print is old. Some prints have a rugged edge, indicating a removal from an antique bound volume that was stitched together, a method of binding not used anymore. If there are holes from the stitching, this would also indicate an antique print. 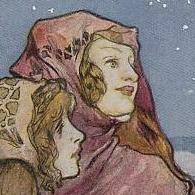 Examine the edges of the print and try to discern the residue of either marbled or gilded edges. These would again indicate that the print is antique and not a modern reproduction. 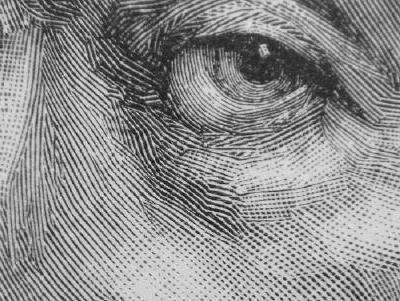 None of the modern reproduction techniques is able to reproduce the fine lines of the steel engraving; that's why our paper money is still printed using the intaglio process and not various modern, and very sophisticated reproduction printing techniques). For example, in the case of the steel engraving (intaglio), find a strong dark line and examine it through a strong magnifying glass. Does the ink seem to rise up from the paper, somewhat like a rust? If so, this is one of the main characteristics of the intaglio process and it indicates that the printing is original. However, this effect may not be always strong and very discernable, if the print was printed from a worn out steel plate (after a number of impressions, the engraved lines in the plate started to deteriorate and became shallower). There are many other examination steps that need to be taken and questions answered before a knowledgeable decision can be made. So if you are really interested in finding out more about your print, never rely on your first impression arrived at without a detailed examination. 5 - Grading of prints (from best to worst): "Excellent condition," "Very good condition," "Good condition." "Excellent condition" Such a print has no visible defects, like tears, stains, etc. The print may have minute blemishes, minor creases (often caused by the manipulation with the print), etc., but these would be of a nature that does not diminish the value of the print or they would not be readily discernible. These prints are usually 100-150+ years old and minor imperfections should be expected. Whenever such blemishes stand out, we do our best to mention them. "Very Good Condition" Such a print has some minor defect(s), that affect the print (e.g. a small, visible blemish in the image, a hairline crease, a short tear in the margin, always professionally repaired etc.) but not in a substantial way. They are always described. If these defects were not present, the print would be considered to be in excellent condition as described above. "Good condition" Such a print may have more permanent defects, e.g. foxing, stains, minor holes or heavier creases, longer tears (always professionally repaired). The print would still have excellent documentary value, but might not be the best choice to display it frames. Acierage: is a process, by means of which an iron face is deposited upon the surface of an engraved copper plate by the action of the battery, thereby obtaining greater durability, without injury to the artistic character of the work as originally produced. Age Toning: Overall light brownish tone (tint) of old prints. It is uniform, sometimes the edges being darker then the rest of the page. Differs from Foxing. Albumen Paper: Also spelled ALBUMIN, light-sensitive paper prepared by coating with albumen, or egg white, and a salt (e.g., ammonium chloride) and sensitized by an aftertreatment with a solution of silver nitrate. Albumen was also used in the second half of the 19th Century as a binder for the light-sensitive crystals on glass-plate negatives. Albumen prints are prized by modern collectors for their subtly graded tones and fine-grained resolution. Albumen print: The albumen print was invented in 1850. It was made by coating paper with a layer of egg white and salt to create a smooth surface. The paper was then coated with a layer of silver nitrate. The salt and silver nitrate combined to form light sensitive silver salts. This double coated paper could then be placed in contact with a negative and exposed to the sun to produce a print. Ambrotype: The name for a collodion process patented in 1854 in the United States by James Ambrose Cutting. It produces a glass negative that looks like a positive because of the way the image is developed and backed. Anastatic Printing: in many respects analogous to lithography, its object, when introduced, was the reproduction of fac-similes of rare prints, books, or portions of books. The paper to be copied is first wetted with dilute nitric acid, passed through a press, and ultimately brought into contact with a plate of polished zinc. The acid taken up by the plain portions of the paper, etches or bites away those portions of the metal with which it is brought into contact, leaving a reversed copy of the letterpress in slight relief upon the zinc plate. The zinc plate is then washed with a solution of gum in weak phosphatic acid, which is readily attracted by those portions that have been eaten out by the nitric acid, but repelled by the grease set off upon the polished zinc, from the surface, whether from type, wood block, engraving, or manuscript. The zinc plate is then inked by means of an ordinary lithographic inking roller, and printed from in the usual way. Aqua Fortis: The nitric acid of chemists, diluted for the use of engravers, etc. It acts very energetically upon copper and steel, and is the agent employed in Biting In. Aquatint: A variety of etching widely used by printmakers to achieve a broad range of tonal values. The process is called aquatint because finished prints often resemble watercolor drawings or wash drawings. The technique consists of exposing a copperplate to acid through a layer of granulated resin or sugar. The acid bites away the plate only in the interstices between the resin or sugar grains, leaving an evenly pitted surface that yields broad areas of tone when the grains are removed and the plate is printed. An infinite number of tones can be achieved by exposing various parts of the plate to acid baths of different strengths for different periods of time. 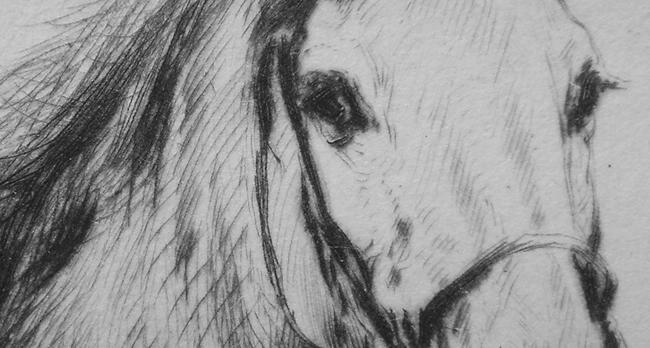 Etched or engraved lines are often used with aquatint to achieve greater definition of form. Architectural Print: Usually a steel engraving or a lithograph, depicting a building (church, cathedral, etc. ), its architectural details, sections, elevations, etc. It is distinguished from a regular steel engraving by high precision and very accurate depiction of the subject. Artist's Proof: An impression of a print taken in the printmaking process to see the current printing state of a plate while the plate (or stone, or woodblock...) is being worked on by the artist. Autochrome: Autochromes color photographs were made by a process patented in 1904. An autochrome was a colored, transparent image on glass. The color came from a layer of translucent granules of potato starch, each dyed red, blue or green to create a coloured mosaic on the glass plate. During exposure, light travelled through these granules to reach a light sensitive layer below; red granules would only allow red light to travel through, and so on. The light sensitive layer was thus selectively exposed by color. When the autochrome was held up to the light, the coloured granules were viewed in combination with the black and white image behind to create a color photograph. Autographic Paper: Paper used in Lithography to transfer drawings upon the stone. Autographic Process: Sometimes called the auto-lithographic process consists in drawing the image on lithographic transfer paper and then transferring the image onto a lithographic stone or similar surface for printing. Autotype: Autotype consists in coating a sheet of prepared paper with a mixture of gelatin, bichromate of potass, and carbon, and when dry, exposing it under a negative. On removal from the printing frame, the pigment is moistened with water, and laid, prepared side down, on a support of glass, zinc, or shellac-coated paper, to which a gentle pressure makes it adhere. The paper is then removed, and the print developed by immersion in warm water, which dissolves the unaltered gelatin, but cannot touch the parts rendered insoluble by the light which has passed through the negative. The developed print is again transferred to paper, when the high lights are found to consist of those parts where the gelatin has been completely dissolved, the middle tints of the parts less soluble, and the shadows of the parts quite insoluble. The pictures thus produced are admirable. The chemical durability or resistance to fading is absolute. The reproduction of certain objects, such, for instance, as an engraving may be made a perfect fac-simile of the original. Also called Permanent Photography. Autotypography: method invented by George Wallis, by which drawings or photos on gelatin can be transferred under pressure to soft metal (e.g. lead) plates for printing. Back Painting: A method of staining mezzotint prints with varnished colors, after they had been affixed to glass, giving them the effect of paintings on glass. Biting-In: A term used in engraving to describe the action of the aqua-fortis upon the copper or steel, on those parts from which the etching ground is removed by the graver or other tools. Bur: A slight ridge of metal raised on the edges of a line either engraved by the burin, or the dry-point, and which is removed by the scraper, as it retains superfluous ink in printing a plate, and has the effect of a smear. Burin, or Graver: An instrument of tempered steel used for engraving on copper. Calotype: also called TALBOTYPE, early photographic technique invented by William Henry Fox Talbot of Great Britain in the 1830s. In this technique, a sheet of paper coated with silver chloride was exposed to light in a camera obscura; those areas hit by light became dark in tone, yielding a negative image. The picture was fixed with the hyposulphite of soda. Camayeu: From French for monochrome. Carbon print: Carbon printing was introduced from 1864. A sheet of paper was coated with a layer of light-sensitive gelatin which contained a permanent pigment (often carbon). It was then exposed to daylight under a negative. Carbon prints have a matt finish and can be produced in a variety of coloors, ranging from rich sepia tones to cooler shades of grey and blue. Because of their resistance to fading they were much used in the 1870s and 1880s for book illustration and commercial editions of photographs. Cliches-verre: A process pioneered by Corot in 1850s that involved creating by hand a glass photographic negative from which a photograph was made. Chalcography: A 19th Century term for engraving on copper, compounded from the Greek chalkos, copper, and gropho, to cut , or incise lines. Chinese Paper: A fine absorbent paper of a yellowish tint. It is also termed India paper. Chromolithography: (Illustration below) Lithography produced in color. Chromocyclograph: A picture printed from several blocks bearing different colors. Chromotype: A chromolithograph or other colored print. Chromotypograph: An obsolete graphic arts or printing related catch all term used to describe any number of obsolete processes which used cold and warm rinse etching baths to create surfaces by which color images could be relief printed from zinc plates in the letterpress manner. 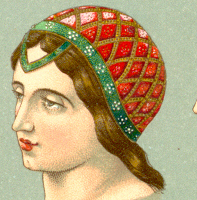 Such processes, as pioneered by Firmin Gillot represent a prototyping and experimental stage between the manual and process printing eras and are characterized by their utilization of various hand-originated textures AND photographically transferred tones or outlines, which when combined with other color plates produced in a like manner could produce continuous tone color images unlike those found in similar technologies such as chromolithography. Chromoxylograph: A picture printed in colors from wooden blocks. Coated paper: Type of paper produced to create surface suitable for the printing of fine-screen halftones and other fine images. Coated paper must be uniformly smooth, receptive to printing inks, have high brightness and gloss. Paper has been coated to improve its surface for better reproduction of printed images for over 100 years. The introduction of half-tone and colour printing has created a strong demand for coated paper. Coatings are applied to paper to achieve uniformity of surface for printing inks, lacquers, and the like; to obtain printed images without blemishes visible to the eye. The chief components of the water dispersion used for coating paper are pigment, which may be clay, titanium dioxide, calcium carbonate, satin white, or combinations of these; dispersants to give uniformity to the mixture or the "slip"; and an adhesive binder to give coherence to the finished coating. Collodion: A solution of gun-cotton in ether. It was a substance used in photographic processes. Collodion process: A wet-plate process in which a negative is made by coating a glass plate with a Collodion. The plate is inserted into the camera, exposed while wet, and developed immediately thereafter. Collotype: A lithographic-like process where a substrate (traditionally glass but also metal) is covered with a coat of gelatin sensitized with a dichromate and dried at a specific temperature producing a reticulation of the gelatin. After exposing and developing, this very fine pattern of reticulation will selectively hold the ink, producing very fine half-tone images. Copperplate engraving: Same as Engraving, Steel, except that the medium is a copper plate (instead of a steel plate). Crayon-manner method: Invented in the 18th century, crayon manner was purely a reproduction technique; its aim was the imitation of chalk drawings. The process started with a plate covered with hard ground (see below Etching). The design was created using a great variety of etching needles (some of them multiple). After the design was etched in, the ground was removed and the design further developed with various tools. Fine corrections and tonal modifications were made with scrapers and burnishers. Finally, engraving was used for additional strengthening of the design. Pastel manner is essentially the same as the crayon manner except that it is usually used to imitate pastel drawings. Crystalotype: A sun picture taken on glass by the collodian process. The crystalotype is formed at once, and imparts to the positive or reflected picture a greater clearness of detail, and finer tone than Talbotype, which uses a negative. C-type print: A c-type print is a color print in which the print material has at least three emulsion layers of light sensitive silver salts. Cyanotype: The cyanotype process for making prints was invented by Sir John Herschel in 1842. A sheet of paper was brushed with iron salt solutions and dried in the dark. The object to be reproduced was then placed on the sheet in direct sunlight. After about 15 minutes a white impression of the subject formed on a blue background. The paper was then washed in water where oxidation produced the brilliant blue - or cyan - that gave the process its name. Daguerreotype: An ingenious invention, named after the originator, M. Daguerre, a celebrated dioramic painter. The process consisted of exposing silver plates to the vapor of iodine ; these were then placed in the CAMERA OBSCURA, and after sufficient exposure, the light acted upon the iodized surface of the plates, which were then exposed to the vapor of mercury, by which the latent image was developed. The iodide of silver was then washed off by a solution of the hyposulphite of soda, by which further action of the light was stayed, and the image on the plate rendered permanent. Such was the state of the discovery when first made known. Combinations of bromine and chlorine have been introduced more recently, and the result has been a most remarkable acceleration of the process, and the application of the daguerreotype to the obtaining pictures from the life. Damaskeening (damascening): This term, derived from the Syrian Damascus, so renowned in Art, designates the different kinds of ornament upon a steel surface. The first is the many-coloured watered Damascus blades; this is the true damaskeening, produced by using a cast-steel highly charged with carbon, which, on being carefully cooled, produces a crystallization of these substances, giving the peculiar appearance to the steel, by which it is known. The second kind consists in etching slight ornaments on polished steel wares. The third is the inlaying of steel or iron with gold and silver, as was done with sabers, armor, pistol-locks, and gun-barrels. The designs were deeply engraved, or chased in the metal, and the lines filled with gold or silver wire, driven in by the hammer, and fastened firmly. This art was brought to great perfection by the French artist Corsinet, in the reign of Henry IV. Diaglyph: An intaglio or design cut into the material on which it is executed. Die: A metal block or mould having an inverse figure or ornament, which may be struck or cast in relief in any decorative process. 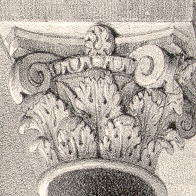 In architecture the word is applied to the cubical part of a square pedestal between its base and cornice, and which is generally a true solid square. Die engraving: (sometimes termed DIE-SINKING). The art of engraving on steel molds, medals, coins, and inscriptions. It was practiced by the Greeks with wonderful perfection ; and the Syracusan medallion, the coins of Alexander and some of the Greek cities, have not only never been surpassed, but have not yet been equaled. With the Romans the art was extensively practiced, and the coins of Hadrian may be cited as fine examples of their power, though scarcely so vigorous and artistic as the Greek. With the fall of Rome the art sunk to the lowest degradation. The die-engraver uses the metal in a soft state for engraving upon, and, as he works the reverse way (that is he cuts or sinks those parts of his design which are to appear raised), he continually takes impressions in clay of his work as he proceeds, in order to judge of its effect, and make the necessary corrections. When finished, the steel die is hardened by fire ; and great risk is run in the process, as the metal will occasionally split and ruin the artist's labor. The same risk is run in striking the coin or medal, the die sometimes breaking after a few blows ; the artist is, therefore, always uncertain of the issue of his labors. Die sinking: See DIE ENGRAVNG. Drypoint: The term applied to the sharp etching-needle, when it is used to incise the copper in fine lines, without the plate being covered with etching-ground, or the lines bit-in by acid. Very delicate work is produced by this means, which wears less in printing than lines produced by the action of acid. Dry-collodion Process: Same as Collodion process except it allows the plate to be exposed and developed at a later time. It requires a much longer exposures. Dry Plate: In photography, it is a glass plate coated with a gelatin emulsion of silver bromide. It can be stored until exposure, and after exposure it can be brought back to a darkroom for development at leisure. These qualities were great advantages over the wet collodion process, in which the plate had to be prepared just before exposure and developed immediately after. The dry plate, which could be factory produced, was introduced in 1871 by R.L. Maddox. It was superseded by celluloid film early in the 20th century. Ectypography: A mode of Etching by which the lines are raised on the plate instead of sunk in. Electrotint: An art of preparing tinted plates by the action of electricity on a copper-plate, whose surface is sunk, and which thereby produces a fine tint in relief, for use in the ordinary printing-press. Electrotype: A process of preparing a printing plate using the process of galvanization. First a mold of wax is made of a wood engraving or other relief work. The impression in the wax is then coated with an electrically conductive substance. The mold is then immersed in an electrolytic bath and through the process of galvanization a metal coating is deposited onto the surface of the wax. The wax is then removed and the metal surface is mounted onto a plate and is then used to print the image. Elephant Paper: A term applied to designate the largest kind of drawing paper, the sheet measuring 28 inches by 23 inches. The larger kind of paper is termed double elephant paper, which measures 40 inches by 26 3/4 inches. Empaistic: Inlaid work, resembling the modern buhl, or marquetry. Emperor paper: The largest kind of drawing-paper manufactured, the sheet measuring 66 by 47ninches. Enamel painting: Painting upon metal previously covered with glazed ground. Encaustic painting: Another term for Wax Painting. Figure 1. Etching on soft ground 2. Etching 3. Etching finished with the graver 4. Mezzotinto 5. Aquatint engraving 6. Stippling combined with line engraving 7, 8. Manner of holding the graver 7a. Engraver's easel 8a. Engraver's hand-vise 9. Manipulation of cutting stones 9a. Engraver's oil-rubber 10, 11 - Tampons, or dabbers 12. Common ruler 13. Parallel ruler 14, 15. Scrapers 16. Burnisher 17. Rocking-tool or cradle 18. Roulette 19. Scratcher 20-22. Etching needles 23-26. Gravers 27. Callipers 28ab. Improved callipers 29, 30. Punches 31, 32. Engraver's anvil and hammer 33. Lines made by the cradle 34. Reducing frame 35. Frame for correctly observing curves on busts, etc. 36-38. Hands for engraving stamps. Engraving: The act, process or art of producing by cutting, on metal, stone or wood, either incised or relief designs. Technique of making prints from metal plates into which a design has been incised with a cutting tool called a burin. At the beginning of the 19th C, the copper plate was used instead of steel; hence, the process is also called copperplate engraving. Another term for the process, line engraving, derives from the fact that this technique reproduces only linear marks. Tone and shading, however, can be suggested by making parallel lines or crosshatching. See also Woodcut. STEEL ENGRAVING (Illustration below) ... in working on metal (steel plate, copper plate), the lines that are intended to appear black are incised, the plate is then covered with ink, which is then cleaned off, so that the paper when pressed firmly on to the plate, only receives impressions from the engraved lines, the ink having remained in these, while it was wiped off from the surface portions. The untouched surface then appears as white areas on the resulting print. WOOD ENGRAVING (Illustration below) ...with wood (a piece of wood block), the process is reversed. The lines that are to print black are left, only the spaces that are to be white are cut away, leaving the lines prominent, which, when inked with a roller, are transferred under the press to the paper. As a result, black lines, however fine, are readily produced on metal plate, whereas on the wood block, they can only be obtained by cutting away the wood on each side, leaving the line. Engravings on steel thus are of much finer quality than engravings made on wood. The relief image is carved on the end grain of hardwood (rather than the side grain of soft wood as in woodcut printing). See also Photoxylography below. Engraving, Dry Point: See also Dry Point. The production of incised lines on a copper or steel plate, mechanically, with a sharp steel point, as distinguished from etching, in which the lines are bitten in by acid. An engraving method in which the design to be printed is scratched directly into a copperplate with a sharply pointed instrument. Lines in a dry point print are characterized by a soft fuzziness caused by ink printed from a burr, a rough ridge of metal thrown up on each side of the furrow of the dry point line. The course of the line, however, is often abruptly angular when changing directions, because the metal of the plate continually resists the engraving point. Engraving, Heliographic: Photoengraving or Photoetching, as on a plate coated with bitumen. Etching: (Illustration below) A process of engraving in which the incised lines are produced by the biting of an acid or mordant. The surface of the metal is covered with thin coat of wax, asphalt, or varnish, called etching-ground, which is scratched with the etching needle where lines are desired, and the exposed part subjected to acid, which then creates incised lines in the surface of the plate. Etching, Calligraphic:A process of etching in which the sketching is done with pen and ink on a clean copper plate. The plate or design when dry is covered with a thin etching-ground or varnish, smoked, and then soaked in water to soften the ink, which can then be removed with the varnish by gentle rubbing, leaving the design to be bitten as usual. Etching, Daguerreotype: Photochemical process for biting in the dark places of a sensitized plate. Etching-Ground: The coating of wax or varnish on a plate used to protect the surface from the action of acid. It was made of bees' wax, Burgundy pitch, black pitch and asphaltum. Etching Needle: The needle like steel implement used by etchers for tracing the lines through the etching ground. Etching Revival: The Etching Revival is the name given by art historians for a period of time stretching approximately from 1850 to 1930 and involving the renaissance of etching as an independent art form drawing its inspiration from Rembrandt. False Intaglio:Creation of a plate impression after the printing of the image. It was usually done by passing a smooth copper plate through the press with a sheet of paper on which the image was already printed by other means. Folio: Refers to the size of the print. The longer dimension of the sheet is higher than 12 inches. Foxing: Brown-yellowish stains or spots appearing randomly on old prints, caused by chemical composition of the paper and its reaction to the environment. Frisquet: The name given by wood-engravers to the paper with which they cover that portion of the woodcut which is not yet cut away, but which forms no part of the engraving, when they are about to take a proof of their work. It is simply a square piece of paper, the center of which is cut out in the general form of the subject to be printed, the proof-paper being thus protected from contact with any ink but that on the surface of the lines, which are then rubbed upon the paper by aid of a burnisher. Galvanography: This is one of the most beautiful and successful inventions of modern times (19th C), as by its means plastic objects, e.g., wood, stone, coins, plaister-casts, etc., and copper-plates when engraved, may be exactly copied in copper, and bronzed or gilt. The invention is especially valuable for copper-plate engraving, as by its means any number of duplicates of the original plate may be obtained. GALVANOGRAPHY, after many experiments, has produced. works of Art far surpassing the expectations at first entertained, and the uses to which it may be applied are multifarious; for since the first galvanic plate was taken, it has been used in all branches of engraving, having been found to unite all the Known methods of the graver and etching-needle, aqua-tinta, scraper, roulette work, etc., and, moreover, is very easy of execution. Gelatin Process: Also called gelatin dry-plate process, it is a photographic process in which gelatin is used as the dispersing vehicle for the light-sensitive silver salts. The process, introduced in about 1880, superseded the wet Collodion process. Gillotype: A printing process using a zinc plate created by a photographic transfer. Invented by Mr. Gillot in 1872. Also called paniconographie. Glyphograph: is a block obtained by coating a plate of metal, or other substance reduced to an uniformly flat surface, with wax or composition. The design is then made upon the surface of the composition, which in its turn is removed, wherever it is wished to obtain a metallic deposit. The metal block, when obtained, is mounted on a wooden back, and is then capable of being printed from with type in the ordinary printing press. Graphotype Process: which has for its object the production of metal blocks in relief, direct from the artist's drawing, and capable of being worked in the type form at the printing machine. Gravure: An intaglio process of photomechanical printing, such as photogravure or rotogravure. It also designates a print produced by gravure or the metal or wooden plate used in photogravure. Half-tone: Of or pertaining to a photographic process of making relief plates (see Relief Process) for illustration, in which the entire surface of the plate is covered with a regular series of small dots, or a grating of fine lines in white. It serves especially for the direct reproduction of photographs and paintings. Same as Half Tint. Half-tone plate or block: In the early days zinc was the metal used for these half-tone blocks; but experience showed that though more difficult to etch to the necessary depth, the closer, denser texture of copper rendered plates of this metal much more suitable for the production of the best blocks, and zinc now is used only for inferior blocks. Whichever metal may be used, a sheet of it, most carefully planished, is sensitized with a coating of gelatin or fish-glue and bichromate of potash, dried and exposed under the screen negative to the action of light, as in the ordinary method of photographic printing. The action of the light hardens the gelatin film, the portion not so hardened being soluble by water. The plate with the gelatin picture in lines and dots is exposed to heat and the image is burnt in on the surface of the metal like an enamel, which enables the photographic picture to resist the subsequent etching. The plate is placed in a bath of iron perchloride and etched until sufficient depth is obtained. Wherever the surface of the plate is free from the lines and dots, it is bitten away by the perchloride, and the lines and dots are left in relief. 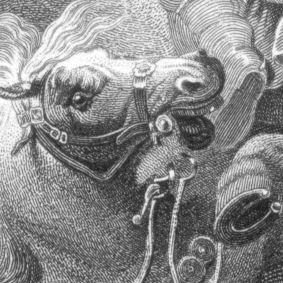 This first biting in the bath produces a rather flat general impression of the original, and is termed "rough etching." To produce finer results, and to bring out the contrasts of black and white necessary to a good reproduction, the block has to go through processes of stopping out and rebiting similar to those of etching an intaglio plate. This "fine etching" calls for the artistic taste and judgment of the craftsman; and with a good photograph to work from the final quality of a block will depend largely upon its treatment by the fine etcher. A substitute for the acid bath has been found in an acid blast. The acid is driven in the form of a spray with some force on to the surface of the prepared plate, which it etches more rapidly and more effectively than the bath. Heliochromy: (Literally sun-coloring) A term applied to that process by which photographic pictures in their natural colors are obtained. Heliogravure: A print or plate produced by Heliography. Heliography: An early photographic process invented by Niepce, and still used in photo-engraving. It consists essentially in exposing under a design or in a camera a polished metal plate coated with a preparation of resin, and subsequently treating the plate with a suitable solvent. The light renders insoluble those parts of the film which it strikes, and so a permanent image is formed, which can be etched upon the plate by the use of acid. Heliotype: Similar to Collotype. A variation of the method of producing the film which is first spread as in Collotype upon waxed glass and then stripped from the glass when dry. After hardening the back of the film it is laid down upon a metal plate and firmly secured to it by the use of an india-rubber cement. It is remarkable the admirable results that are obtainable by so delicate a process. The films have not a long life; a few hundreds only can be printed from each, but the renewal of the film is a simple matter. The result is very like a photograph. The use of heliotype is, however, practically obsolete. Hyalograph or Hyalotype: From Greek words for glass and print. A hyalograph is a drawing on glass. The plate is bitten like an aquatint. The entire liberty of correction enjoyed by the artist whilst drawing the hyalograph, and its extreme fidelity to the work of the draughtsman, make it very agreeable to artists and most easily adaptable to all the varieties of personal idiosyncrasy. India Ink: also Chinese ink. A black pigment composed of a mixture of lampblack or burnt cork with gelatin and water, scented with Borneo camphor and musk, made in India, China and Japan. Sold in sticks. Also, similar ink made of sepia. India Paper: A thin yellowish absorbent printing paper made in China and Japan from vegetable fiber and used in taking the first and finest proofs from engraved plates. India Proof: An early and choice proof taken on India paper from an engraved plate. Instantaneous engraving: The engraved plate is obtained by making a drawing upon the polished surface of a steel plate with a greasy crayon, or any other substance capable of resisting a deposit of copper, without opposing the corrosive action of acid, when the plate is immersed in an acid bath of sulphate of copper. Upon immersion the bright surface of the plate immediately becomes coated with copper, but the acid of the bath gradually corrodes and undermines those portions of the plate, the surface of which is protected by the greasy drawing, eating it into a series of lines, from which the print is produced by the ordinary process of copper-plate printing. This process is employed for the outline designs used by potters, the design being printed and transferred to the surfaces of plates and other articles, which are then filled in and colored by hand. Intaglio: From the Italian word meaning incising or engraving, it denotes printing from a plate that has the lines engraved. Japanese Paper: High quality paper usually composed entirely of gampi. The color of the paper ranges from a golden yellow to buff. Their weight ranges from 100 to 200 grams per square meter. Letter-press: A method of taking impressions from letters and other characters cast in relief upon separate pieces of metal, and therefore capable of indefinite combination. The impressions are taken either by surface pressure, as in the common printing press, or by cylindrical pressure as in the roller press. Lichtdruck: Lichtdruck is a method of printing photographs in an ordinary lithographic press, with printer's ink, from gelatine films prepared on the same principle as the Woodbury tissue, except that the soluble gelatine is not washed away. The film is attached to a thick plate of glass fixed in the press, and when sponged over, the soluble parts absorb water, and so are prevented from taking on ink, while the insoluble portions remain dry, and the ink adheres to them. Also called Phototype or Phototypie (in France). Lithochrome: Another name for Chromolithography. 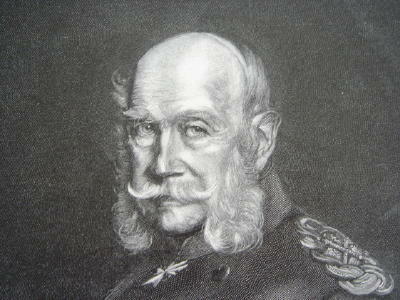 Lithograph : (Illustration below shows a monochrome lithograph) A print produced by Lithography (see below). See also Chromolithography. Lithographic chalk: Ingredients the same as in Lithographic Ink with a small quantity of potash added during the boiling. 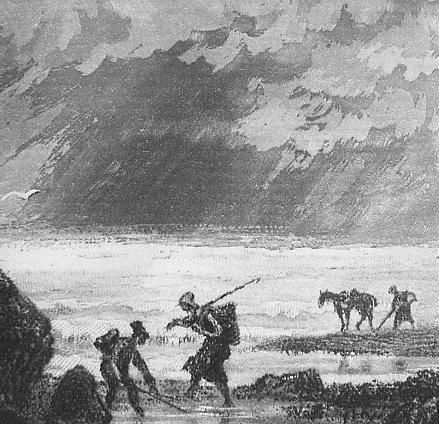 Lithographic Crayon: A crayon used in the 19th century for drawing upon stone. The finest ones were usually made of the combination of Finest White Wax, Finest White Tallow Soap, Pure Russian Tallow, Gum Lac and Finest Lamp Black (for a black crayon). Lithographic ink: Was made of tallow-soap, pure white wax, lamp-black, and a small quantity of tallow, all boiled together, and, when cool, dissolved in distilled water. Lithography (process) : The art or operation of producing a print from a flat lithographic stone on which a drawing, design or transfer has been made in a soapy ink or by other suitable method. The stone is dampened on those portions on which the drawing is not to appear, preventing them from taking the printing ink, which only adheres to the parts with the drawing. The printing on paper may be then accomplished in a manner very similar to printing from engraved or other plates. If a color lithograph is to be made, each color is printed separately on the same piece of paper, usually in the order of lightest to darkest. As many as 70,000 copies could be made from one stone, the last being nearly as good as the first. Lithography (in offset) : See Offset Printing. Litho-offset (process) : See Offset Printing. Lithophotography:The art of producing prints from lithographic stones, by means of photographic pictures developed on their surface. Manual Print: Type of print whereby the image was created directly on the printing surface, for example drawn directly onto a wood block. Compare Process Print. Margin: A white border around the image. The part of the margin that is under the image usualy contains a title and other information about the image. Mezzotint: A method of copperplate engraving in which the entire surface of the plate is slightly roughened, after which the drawing is traced, and then the portions intended to show high lights and middle lights are scraped or burnished while the shadows are strengtened. 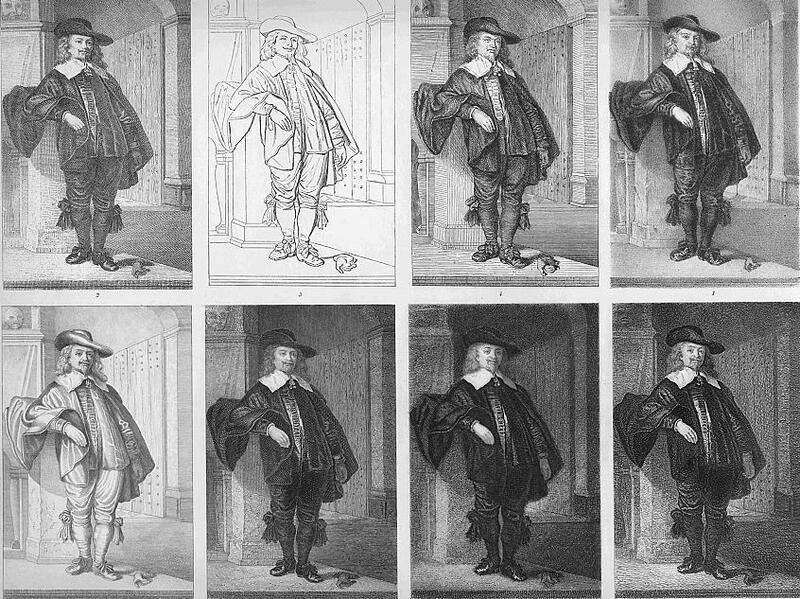 Also, an impression from a plate so produced, characterized by an even graduation of tones, resembling those of a photograph (also called mezzotint engraving). Another definition: method of engraving a metal plate by systematically and evenly pricking its entire surface with innumerable small holes that will hold ink and, when printed, produce large areas of tone. 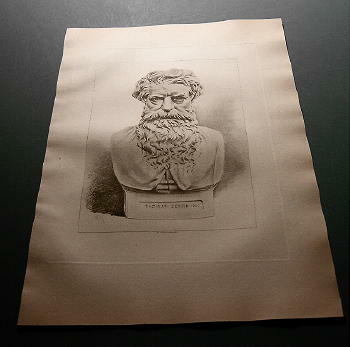 The term mezzotint (from Italian mezza tinta, "halftone") derives from the capability of the process to produce soft, subtle gradations of tone. 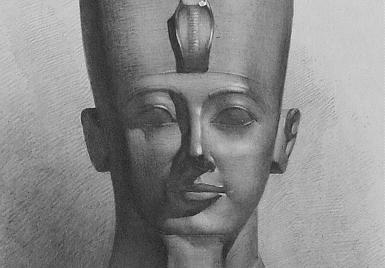 Used alone, however, mezzotint designs are often indistinct and, consequently, engraved or etched lines are introduced to give the design greater definition. Mimeograph: An apparatus in which a thin fibrous paper coated with paraffin is used as a stencil for reproducing copies of written, printed, or typewritten matter. The impression of the pen or type spreads the paraffin, and makes a porous spot through which the ink may pass in printing. Mixed Method Steel Engraving: An engraving in which the engraving on the plate is created by both the engraver's tools and other engraving method, like etching, etc. 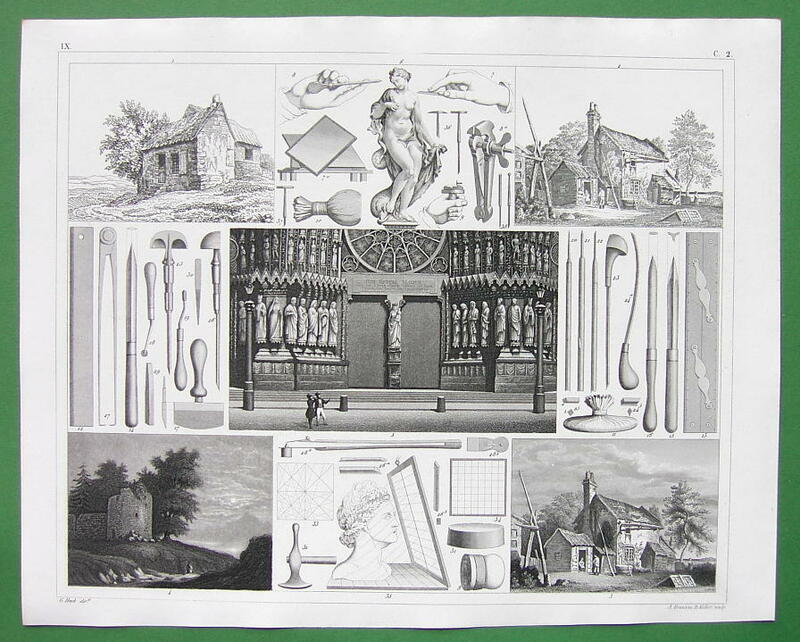 These mixed methods were widely used by commercial printers in the 19th Century and they form the bulk of those prints sold as 'steel engravings' today. Monotype: The monotype is not a new, but a revival of a somewhat old method of reproducing on paper a painting by an artist. The design is executed on a plate by means of brushes, monotype fingers or other tools, with paint or printer's ink. On the completion of the painting, paper is laid upon it, and plate and paper are together passed through a press, when the ink or color is transferred to the paper. One impression only is possible, hence the name of the process. 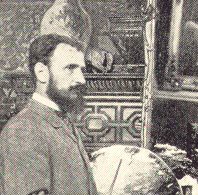 A method has been devised by Sir Hubert von Herkomer for dusting the painting while still wet with a fine metallic powder, which gives a tooth to and renders the surface sympathetic to a copper deposit when it is placed in the galvanic bath, by which means an electrotype of the painting, with its varying relief surfaces, is obtained, and forms a plate from which numerous impressions can be taken. Offset printing: Also called offset lithography, or litho-offset is widely used printing technique in which the inked image on a printing plate is printed on a rubber cylinder and then transferred (i.e., offset) to paper or other material. The rubber cylinder gives great flexibility, permitting printing on wood, cloth, metal, leather, and rough paper. An American printer, Ira W. Rubel, of Nutley, N.J., accidentally discovered the process in 1904 and soon built a press to exploit it. In offset printing the matter to be printed is neither raised above the surface of the printing plate (as in letterpress) nor sunk below it (as in intaglio, or gravure, printing). Instead, it is flush with the surface of the plate; thus offset is classified as a planographic method of printing. Offsetting: A light imprint of text or lines on the print or parts thereof from the opposite page. Occurs on the prints bound in magazines, books etc. when the print was not protected from the printing ink on the opposite page by a thin piece of paper. Opus Mallei: In Stipple Engraving the use of a little hammer to produce dots. Photoaquatint: An aquatint made by a photomechanical process that involves the mixing of carbon with gelatin, exposing a film of this on a plate, and washing it out. The film is then laid on an aquatint ground, usually with a half tone negative film on top, after which the plate may be etched. Photocollograph: Early term for Collotype. Photo-collography: Same as lithography except the image on the surface is made by using a photo-negative and projecting the image on the negative onto the stone surface coated with a light sensitive substance. Photoengraving:The act or process of producing by the aid of photography a relief block or plate for printing. It includes all those mechanical processes in which a picture is printed from a plate, leaving the design in relief like a wood-engraving, and printable on an ordinary printing-press. Photo-etching process: When a layer of asphalt or bitumen is spread over a surface and exposed under a design, those portions of the film which are acted on by light become insoluble in hydrocarbon oils, so that the design can be developed by such solvents, and the surface, if of metal, can be converted into a printing block by etching with acid. The change experienced by the bitumen is probably the result of photo-chemical oxidation. The processes based on this property are much in vogue at the present  time under various modifications. This action oflight upon bitumen furnished the earliest successful permanent reproduction of the camera picture (Joseph Nicephore Niepce, 1824). Photogravure: (Picture below) The act or process of producing a plate for printing as well as the print made from such a plate. First, a picture of a painting or other object is taken on a sensitive film, the negative is then prepared and laid on a sensitized metal plate, which is then developed and bitten in with a mordant, producing a plate that may be printed from like from any other printing plate. Such a plate has no sharp incised lines (like a plate plate used for the steel engraving) , but rather minute depressions. The deep parts produce the shadows, and the high parts showing white when printed. Photogravure reproduces the tones of photographs or drawings, and gives the nearest approach to a facsimile reproduction that has yet been arrived at. Gelatin bichromatized is the medium by means of which the photogravure plate is produced; but as the screen is not used in ordinary work, it is necessary to produce an ink-holding grain in some way upon the plate. This is done by allowing a cloud of bitumen dust, raised inside a box, to settle upon the surface of a copper plate; it is fixed by heat, which, though insufficient to melt it, is enough to attach the fine grains to the plate. Over this prepared surface is laid the film of bichromatized gelatin, upon which is printed the subject through a glass positive; the usual hardening process takes place by the action of light, followed by a washing out of the unhardened portions of the gelatin. The plate is exposed to the action of ferric chloride, which attacks it most strongly in the least exposed parts, but which cannot eat it away in broad flat masses of dark, even in the non-exposed portions, owing to the existence of the bitumen granulation, which ensures the keeping of a grained surface even in the darkest passages. Photogravure is a costly process to employ for illustration. The plates have to be printed slowly, with much hand work, as in the case of etchings. It is the printing that makes its use expensive, rather than the making of the plates; and as each plate must be printed separately and on special paper, it cannot be employed with type, like relief blocks. Photolithography: The art, process or operation of producing on stone, largely by photographic means, a printing surface from which impressions may be taken by a lithographic process. Photo-relief engraving: Includes all mechanical processes in which the picture is printed from a plate leaving the design in relief like a wood engraving and printable on an ordinary printing press with type (letters). It is often done in half tone, and is to be distinguished from photogravure. Phototype: A relief plate made for printing by photoengraving or photoetching (using a negative of the artwork placed on a sensitized gelatin coated zinc plate). Also a picture printed from such a plate. Also designating the same process as Collotype. Phototypie: A French term for the Collotype process. Photoxylography:A wood engraving in which the original image was not drawn on the surface of the wood block but transformed there from a photographic negative (this required to photo-sensitize the surface of the wood block). Photozincography: An art of mechanical reproduction utilizing a sensitized zinc plate. Related to zincography, the process involved the photographic reproduction of a primary image in a simple chromo-carbon print, and then its transfer to a carefully prepared zinc surface. Introduced in the middle of the nineteenth century, many examples of the new photozincographic process were shown in London at the International Exhibition in 1862. The British Ordnance Survey was amongst the first to practically apply the new process, in its creation of reduced-scale maps. These early photo-zincographic printed maps were frequently hand-colored. Phytoglyphy of Phytography: Another term for Natural Printing, i.e. printing of natural objects like leaves, flowers, fabric patterns etc. Planographic Printing: Printing from the surface of a plate like in Lithography. Plate(s): In Engraving, the impressions on paper from an engraved copper or steel plate are called plates - copper plates, steel plates. Plate (Paper): As in book plate, a very choice grade of paper, now usually supersized and highly calandered, suitable for printing from engraved plates. It receives the most delicate lines freely, and takes the impression of printer's ink readily. 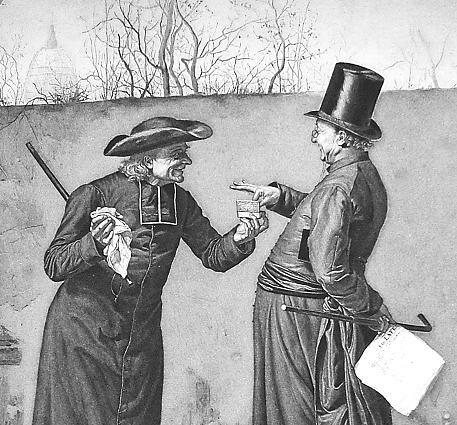 Polyantography: The original term used for Lithograph when patented in Great Britain in 1800. Polyautography: The multiplication of copies of manuscripts by any duplicating process, as by a mimeograph. Print: Anything printed on paper from an engraved plate, woodblock or lithographic stone; a proof; a printed picture or design as in 'antique print'; an impression with ink from type, plates, etc. Fig. 1. Lithographic method - chalk; 2. Lithographic method - quill pen; 3. Wood engraving - contour; 4. Wood engraving - detailed; 5-6. Copperplate engraving; 7. Mezzotint; 8. Etching. Process Print: A type of print whereby the image was transferred to to a printing surface by various technical means and was not drawn directly onto the printing surface. Compare Manual Print. Proof: In engraving, the first impression taken from an engraved plate are termed proofs, it being supposed that they undergo careful inspection by the engraver (engraver's proofs). India proofs are those taken upon India paper. Proofs before letters are those taken before the work of the writing-engraver is put-in. Pyrogravure: The art of engraving on wood and other substances by fire—that is, with pieces of metal more or less in the shape of pencils, and heated red. Rebiting: The act of restoring worn lines in an engraved plate by the action of acid, which is affected by again covering the surface with etching-ground, leaving the lines open. Recto: A right-hand page of an open book or manuscript. Also the front of a leaf (opposed to verso ). Relief Process: Process of photochemical engraving, by which plates (i.e. relief plates) or blocks are produced with the lines or dots of the design raised or in relief, which can be used in printing like type (letters) , or with type in common press. Retroussage (in Etching process): Adding extra tones to a specific part of plate in order to create an artistic effect. Rotogravure: A photomechanical process by which pictures, typeset matter, etc., are printed from an intaglio copper cylinder. It also denotes a print made by this process. Rotogravure is a system of intaglio printing. It consists of transferring to paper fluid ink contained in the cells of the printing cylinder, while the projecting nonprinting areas on the surface of this cylinder are kept free of ink by constant wiping. The density of the print at each point depends on the depth of the cell at that point and the quantity of ink it contains, rather than on the printing surface, as in the letterpress process. The screen no longer plays an optical role. It is used to establish the partitions that separate all the cells of the honeycomb from each other and that form a surface of uniform height, while the cells are all of different depths, so that the ink is taken up on the engraved surface in an exactly defined quantity. The screen also prevents the wiping mechanism from penetrating the cells of the cylinder and withdrawing the ink. For this reason, line drawings and even the text type must be screened, as well as the photographic illustrations. Scauper: A tool having a semicircular face, used by engravers to clear away the spaces between the lines of an engraving. Sepia: A brown pigment. Also a drawing made with this pigment. 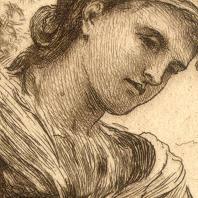 Used in water colors, in monochrome drawing, in printing facsimiles of pen-and-ink sketches and in proofs of engravings. Serigraphy: (screen printing): A stencil technique of printmaking in which an image is created on a silk screen or other fine mesh. 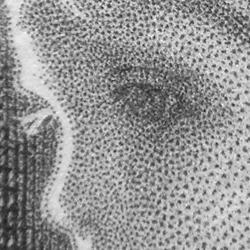 Siderography or Siderographic Engraving: This process was introduced for securing perfect identity in the reproduction of bank notes, and as a means of increasing indefinitely the product from a steel plate, when once engraved. This was effected by hardening and tempering the original engraved steel plate, and then pressing into the lines of the engraving the surface of a soft steel cylinder, by means of rolling pressure from a hydraulic press. The cylinder, so embossed, in its turn was hardened and tempered, and its embossed face rolled over and indented into the surface of a soft steel plate. Mr. Locket adapted this system to the impressing of designs on copper cylinders for the use of the calico printer. Soiling: Refers to an area of a print that shows general light smudges caused by frequent manipulation with the print, or a slightly yellowed area caused by age. This differs from foxing in that it is light and uniform in appearance, effects only a small area around the margins (foxing represents dark brown individual spots of various sizes, scattered randomly over the entire print). Stannotype: is a variation upon Woodbury type. It is an attempt to do away with the need of the hydraulic press for the making of the mould. A film of bichromated gelatin is exposed to the action of light under a positive instead of a negative and the unaffected parts washed away, by which means a mould is obtained corresponding exactly to that obtained in metal by pressure from a film exposed to light under a negative. This mould was covered by a coating of tin foil to give it the necessary metal surface, and good results were obtained from it, but for some reason it has never come much into use. State(s): Two prints are of different states if they were made from a plate which was altered (e.g., adding more lines onto an etching plate) after the the creation of an earlier impression and before a later one. The first series of impressions is called the first state; the next the second state, etc. Steel-facing: A method of making the surface of the engraved copper-plate more durable. A thin layer of iron was deposited by electroplating on the surface of a copper-plate, after engraving and before printing. Stereotype: A mode of printing copies of book pages, images etc. It consists of making a metal cast of a page (composed of individual letters), wood engraving etc. by means of a plaster mold. Stopping Ground: A mixture used in Etching, made of lamp-black and Venetian turpentine. Stopping-out: A method used in Etching process to create heavier and lighter lines. Stipple engraving: (Picture below) Stipple engraving is closely related to the crayon manner (it imitates chalk drawings). The exact date of its invention is not known, but it is reasonably certain that it came after the crayon manner. The first step in stipple engraving was to etch in the outlines of the design with fine dots made either with needles or with a roulette, a small wheel with points. The tonal areas were then gradually developed with tiny flick dots made with the curved stipple graver. For very fine tonal gradations, roulettes were also used. Surface Tone (in Etching process): An artistic effect of creating pale and attracting bloom in the etching print by not wiping the surface off the plate completely clean before the printing. Tint-tool: A species of graver, having its point of different degrees of width, to cut lines in copper or wood of certain bredaths. Tintype: A positive photograph produced by means of a nitrocellulose (collodion) solution applied to a thin enamelled black iron plate immediately prior to exposure. Touched Proof: A first impression taken from an engraved plate, and submitted to the artist for correction and improvement. By the aid of white and black chalks, he alters it and improves it. Transparency: A picture painted on glass or thin canvass to be viewed by the natural or artificial light shining through it. Typogravure: (Illustration below) A 19th C. term denoting Half-tone process, also called Relief halftone. Color typogravures began appearing in the 1890. They were printed from three separate half-tone blocks. The process showed at its best on shiny paper. Typogravures replaced earlier chromotypographs. Verso: a left-hand page of an open book or manuscript (opposed to recto). Also, the back of a leaf page. Walling Wax: A composition of wax and wallow, used by etchers and engravers to make a bank or wall round the edge of plate, and so form a trough, into which the acid is poured over the lines incised through the etching ground, and which bites in the lines as it lies upon the surface. Waterless printing: An offset lithographic printing process that eliminates the water or dampening system used in conventional printing. Wavy or Slightly Wavy: Refers to a print that is not completely flat and exhibits a certain degree of waviness (The picture below was taken at an acute angle to show such a condition). Wax Painting: The pigments are ground with wax and diluted with oil or turpentine, to which mastic is sometimes added, and oil of lavender or spike. In Encaustic Painting, the wax color were burnt into the ground by means of a hot iron (called cauterium), or pan of hot coal, being held near the picture. The mere process of burning-in constitutes the whole difference between encaustic and the ordinary method of painting with wax colors. White Line Wood Engraving: One of the 19th Century artistic trends in the wood engraving process in which the image (picture) was composed from clearly defined white lines. As a result these prints have the appearance of moonlit scenes, with solid black background and the foreground details in white. Woodbury type: In the Woodbury type, a bichromated gelatin film, but without carbon, is prepared, exposed, and developed in a somewhat similar way to Autotype, but dried without being transferred to paper, the result being a sheet of gelatin with a picture in relief. This is laid on a plate of soft metal, and covered with a plate of steel, and the whole subjected to the action of a hydraulic press ; by which the soft metal takes the impression of the gelatin film. In printing from the plate so produced, an ink, consisting of carbon and gelatin, is poured on the center, the paper is laid on the ink, and the pressure of a suitable press applied, whereby the ink is squeezed into the shadows and half tones, and the high lights are left clean, the result being a really fine print. Glass may be used instead of paper, with very fine results. Woodcut:Same as Wood Engraving, except that the lines are not "engraved out" of a wood block, but are rather "carved out", creating less finer lines. Woodcuts have been carved out on the plank side of the wood, wood engravings across the grain. Wood Engraving Facsimile: A wood engraving in which the artist/engraver through their engraving skills create an impression that looks more like a free hand drawing, rather then a typical wood engraving. This method was widely used in the 19th Century to illustrate magazines. 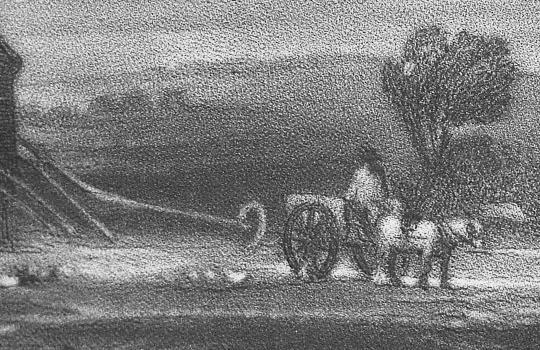 The master of this technique was Thomas Bewick. 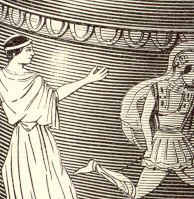 Xylography: A 19th century Greek term applied to wood engraving, and derived from zylos, wood and grapho, to engrave. Zincography: The art of drawing upon, and printing from, plates of zinc as opposed to stone, as in Lithography.